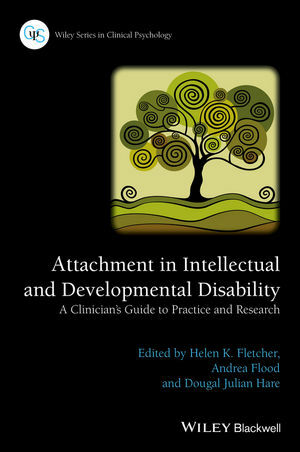 Attachment in Intellectual and Developmental Disability: A Clinician’s Guide to Practice and Research is the first book to explore the clinical difficulties associated with attachment relationships in people with intellectual and developmental disabilities. Helen K Fletcher is a Chartered Clinical Psychologist within Southern Health NHS Trust and a Visiting Tutor for the Oxford Institute of Clinical Psychology Training. She has over twelve years of experience working with children and adults with IDD within the NHS in Community, Inpatient and Specialist Teams. Helen has carried out research in the area of Attachment and ID and has presented on the topic at national conferences. Andrea Flood is a Chartered Clinical Psychologist, who has worked with children and adults with intellectual disabilities and /or autism spectrum disorder since qualifying in 2004. She currently works as a Clinical Teacher on the Doctorate in Clinical Psychology Programme at Liverpool University. Andrea is a co-author of the Manchester Attachment Scale – 3rd party observational measure (MAST). Dougal Julian Hare is Reader in Clinical Psychology at Cardiff University and Research Director for the South Wales clinical psychology training programme. He has practiced as a Chartered Clinical Psychologist working with people with intellectual and developmental disabilities (IDD) for nearly twenty years and has been an author on over eighty peer-reviewed articles and chapters in the fields of ID, neuropsychology and personal construct psychology.